Shrub 0.5-2.5 m tall, forming dense clumps up to 2.5 m across, leaves opposite. 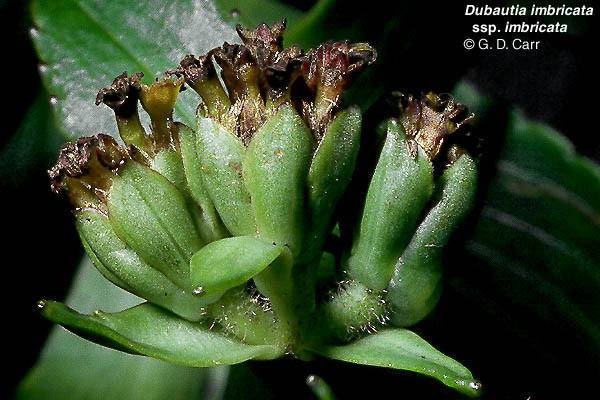 Diagnostic features of the species include basally coalesced peripheral receptacular bracts with distal lobes broad and conspicuously overlapping, and pappus of lanceolate scales much exceeded by the corolla. 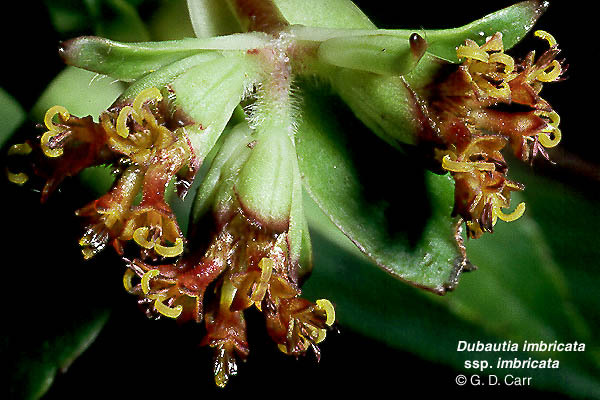 Flowering occurs from August to October. 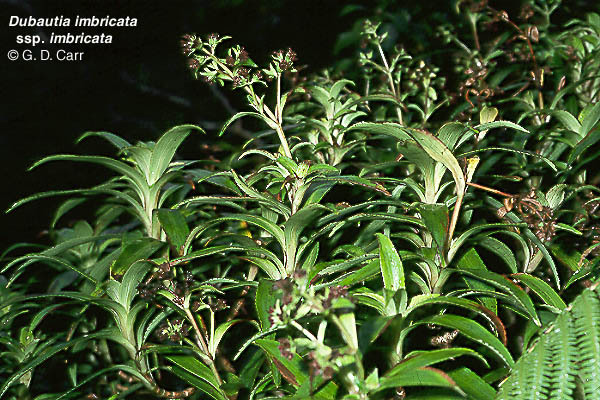 This species is found only on Kaua'i, in the open summit bog of Wai'ale'ale at about 1,550 m elevation (subsp. 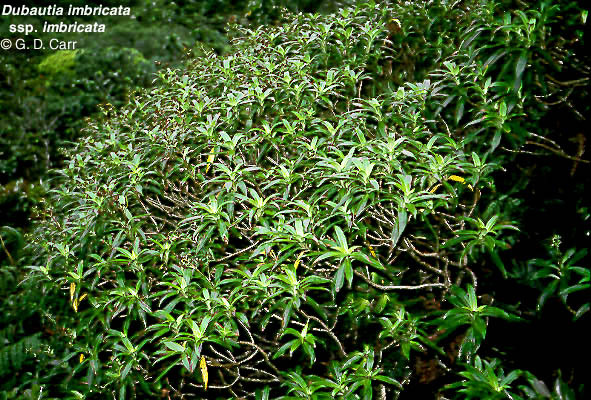 acronaea G. Carr), and in openings of wet forests in the Wahiawa Stream drainage at about 700 m elevation (subsp. imbricata). It occurs in sites receiving about 375->1,000 cm of annual precipitation. This appears to be the poorly known subsp. acronaea. 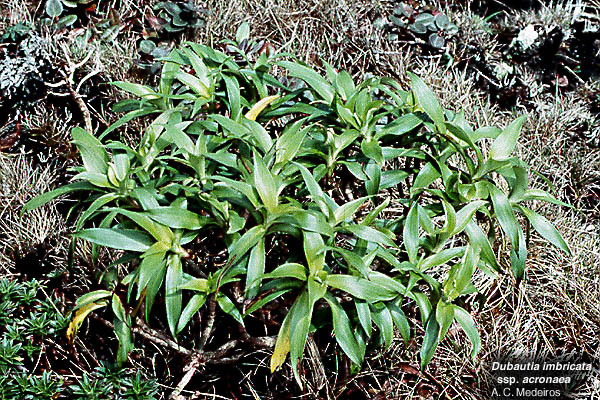 The photo was taken on Waialeale where this plant was growing adjacent to D. waialealae.